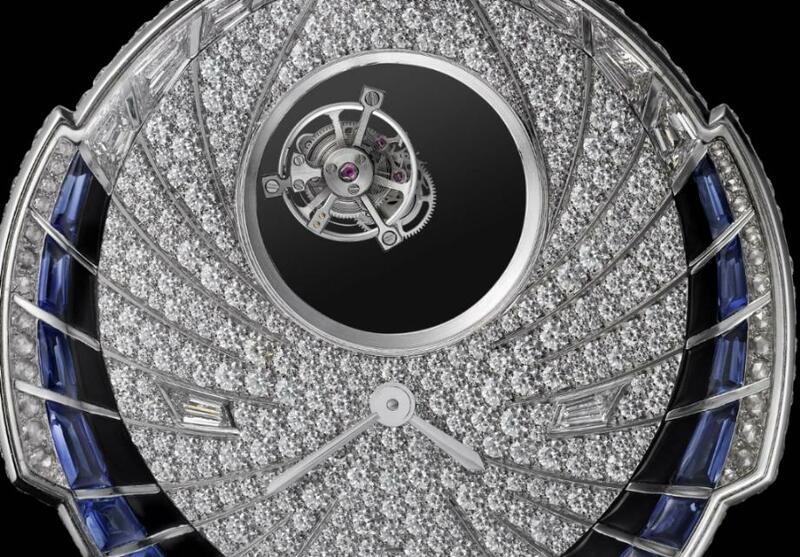 High Jewellery and Fine Watchmaking in an extraordinary, unprecedented collaboration. extraordinary jewel from Sri Lanka. This watch is unlike any other, the object of passion created with flair, as the art of the jeweller and the watchmaker converge towards a common aim. An object of incredible complexity, it embodies a form of pure jewellery in which all mechanical features remain invisible. At Cartier, that which is concealed is as impressive as what is seen, and thus the fully decorated watch movement is visible on the rear face via a sapphire back. The dazzling result can be counted in hours, or rather in months: almost 2,050 hours of work, the equivalent of 17 months of intense collaboration. 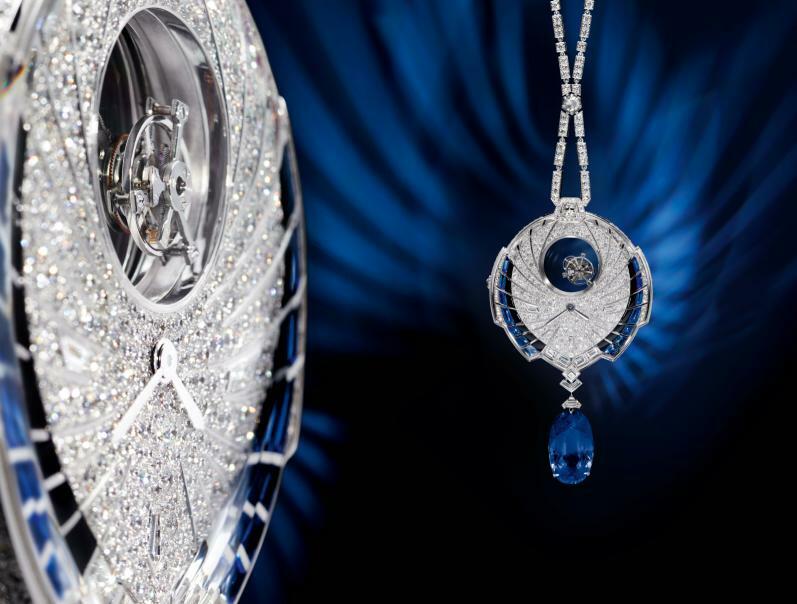 The case, in 18kt white gold, features a 25.93-carat oval-shaped Ceylon sapphire, diamonds, sapphires, and onyx. Movement is the Swiss manual-wind Cartier in-house caliber 9463 MC, a mysterious double tourbillon.